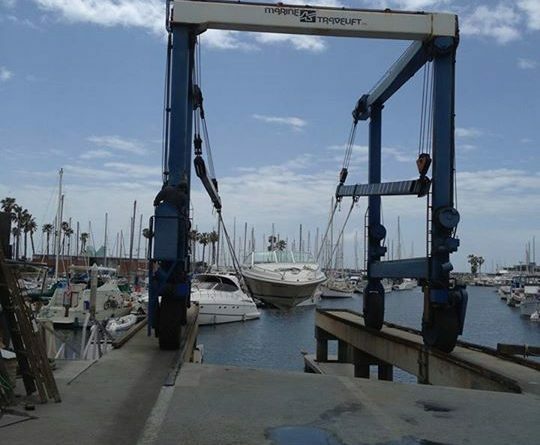 Redondo Beach City Council ruled in favor of two workshops to discuss alternative boat ramp locations in King Harbor. REDONDO BEACH — Motions to approve two workshops about alternative locations to build a boat ramp were approved by the City Council at the Dec. 5 City Council meeting in Redondo Beach. The council agreed to move forward with these meetings by February 2018. Feasibly, a boat ramp could be built at locations of Mole A, Mole B, Mole C, Mole C+ or Mole D. Initially a boat ramp was proposed to be built on the Mole B site, but this was scrapped after the Coastal Commission found several “substantial issues” including safety, the removal of 38 boat slips, reduction on public parking, and the fear that there would be an impact on recreational boat uses. According to Mark Hansen, a King Harbor boater, the issue could be resolved by proposing to acquire Joe’s Crab Shack near the Sportfishing Pier and building the boat ramp near Mole C. Allowing a public workshop to discuss possible sites that will be in ordinance with the Harbor Commission and have the input of boaters could be a happy solution for all involved. Council member Nils Nehrenheim raised the questions of whether the location found would be Compliant C, directly relating back to the lawsuit with the city and CenterCal, a venue that was contracted to renovate King Harbor. Mole C, C+ and D are currently Measure C compliant locations upon which the boat ramp could be placed. Council member Christian Horvath was eager to approve the motions on the workshops concerning the boat ramp. One citizen of Redondo Beach, Eugene Solomon, raised the question of whether or not it would be beneficial to move forward with workshops if there is in fact no road for progress. Solomon felt that “agreeing to have a workshop without any resolution” would be a questionable pursuit. In the interest of the project, the council members voted to push the workshops through while more information is gathered. Nehrenheim made sure to mention boaters and encouraged contacting boaters and yacht clubs for their opinion on this matter. Several weeks ago, Redondo Beach officially cut ties with CenterCal, the vendor to be responsible for a major harbor revitalization plan. The back-and-forth between the city and CenterCal lead to heated retaliation on both sides, eventually culminating in a costly legal battle. While CenterCal initially planned the architectural renovation, which may have included a large mall, the citizens of Redondo Beach fought back, organizing Rescue Our Waterfront. Among the concerns of introducing this new waterfront super-structure were stated in the “5 Fatal Flaws” being regarded as a substantial increase in traffic, a large percentage of development to parking, views of southern Harbor Drive being obstructed up to 80 percent, less access for trailer spots, and a concern about the water quality — would this new structure infringe on the open Seaside Lagoon and create health hazards? Regardless of the arguments on each side, it appeared that a communication issue was created that was unable to bridge and caused Redondo Beach’s citizens to gather enough signatures to rescind the contract with CenterCal. While CenterCal’s structure is no longer on the maps, where does that take the redevelopments now? According to the Rescue Our Waterfront Facebook page, the citizens are hoping for a revitalized waterfront and wish to turn the AES site into future parkland. Boaters and citizens of Redondo Beach are being encouraged to take part in making recommendations. A list of council and city staff can be found at redondo.org. This article is so inaccurate it begs to ask the question, where did they get their information? First, Joe’s Crabshack is now re-owned (they sold and bought it back for pennies on the dollar by Landry’s restaurants. At a recent meeting they saw value to the property and will be looking for amounts will into the 8 digits. It’s not reasonable to even consider this site. Next, as a resident of Seascape Two, all these locations would be a disaster for our neighbors. It will be too noisy, not to mention the awful smell of gasoline that will constantly come in from boats starting their engines 24 hours a day. The safety of these locations is also still a question since they are in the turning basin and I see a ton of personal watercraft that would be in far more danger in that area. It’s a disaster waiting to happen! Next, “CenterCal’s structure is no longer on the maps” is completely wrong, despite many other resident concerns and hopes. This is still alive and very much kicking. You can go down to their Visitor Center today and look at the proposed development. This is in the hands of the Coastal Commission, I think this month. Both the City and CenterCal do disagree with the state of the contract and a court will decide that. Many Staff at the City will tell you that CenterCal is likely correct, which is why the City is also pursuing two paths on this. But it is not dead by any means. It is negligent to say otherwise!! Last, the pipe dream of this power plant turned into a park is just ridiculous. There’s still no money, no plan and no real proposal for this. It’s an idea. I can pretty much assure you that AES won’t let go for nothing. They have other bidders and it will go for whatever makes best sense to AES management and their investors. Ask me and I’ll tell you that I bet it will still be standing above then ground when I am 6 feet under. And I’m in my 30’s. Shame on such nonsense reporting. If you want to become a reputable news organization, get your facts. It’s no wonder that I never hear your stories, except when they get a flag because you mention my city. With reference to this sentence “CenterCal’s structure is no longer on the maps,” I used that as a turn of phrase and I should have been more clear, instead explaining that the current plans proposed were not moving forward immediately because of the lawsuit. If you have any other concerns or questions, send a letter to the editor at editor@thelog.com.